What are the appropriate channels for communication to transmit knowledge and ensure uptake in policy and practice? What are common pitfalls and how can these be avoided? 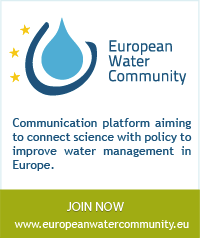 Water researchers, policy makers and practitioners share a common interest in catalyzing the transfer and use of EU-funded water research outputs in order to meet the objectives set out in the Water Framework Directive and related directives. The seminar presented the processes of research communication and uptake and tested tools and actions allowing participants to market their research results. The seminar was organised within the framework of the WaterDiss2.0 FP7 project by experts from Ecologic Institute, an independent think tank for applied environmental research, policy analysis and consultancy. The WaterDiss2.0 project is part of the SPI-Water Cluster, which consists of three EC FP7 projects dealing with science-policy interfacing in water management: STREAM, WaterDiss2.0 and STEP-WISE. These projects are working to support the transfer of water research results to intended users, linking science, policy and practice. The summary report of the Special Session is available here. What’s your message – and who is listening? The FP7 project STREAM (Sustainable Technologies and Research for European Aquatic Management) provided communication support to the PREPARED Alliance Forum via a webinar and recorded the presentation on video. You can watch the video online here.